Every year, we add new destinations for our community service projects. We choose new locations based on the immediate needs of the villagers. Ben Tre is Vietnamese for ‘The land of coconut trees’, as 75% of villagers earn their livelihood by planting coconuts since the land can’t sustain a rice crop. During the Vietnam war, this area experienced much fierce fighting, and is one of the poorest places in the Mekong Delta. Bentre is also the name of the Province where the village of BenTre is located. There are many other districts nearby. While our community service project takes place in a very rural area, the village’s proximity to Hochiminh City makes it easy logistically for travelers to get to the region. It also facilitates the use of our service vehicles. Beautiful canopies of coconut trees provide shade for us as we build roads and houses, and repair a school. 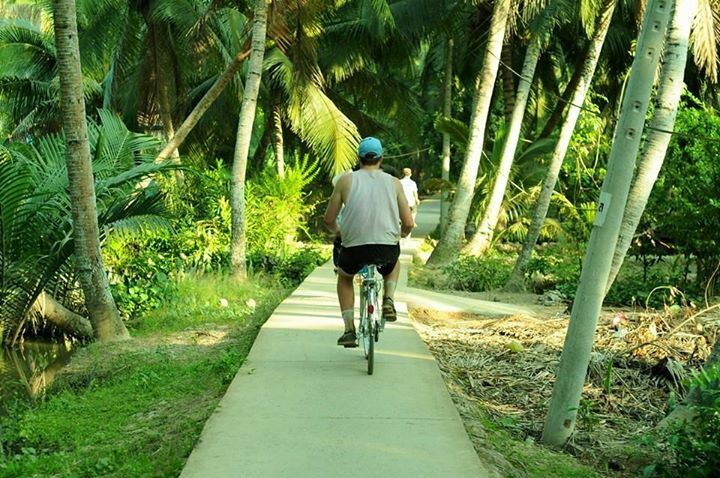 The coconut tree canopy is a unique feature for this community project, and is a backdrop for the maze of canals that crisscross the village. The hospitability of the local people, who are so grateful for our help, cannot be beat. This – making this experience one of a lifetime. 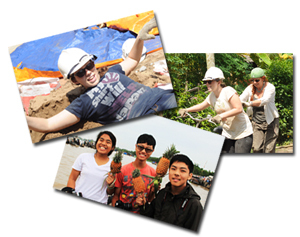 If you think a community service project in Bentre is right for you, let us know. Vinh Long is famous for being ‘The land of tropical fruits’. Hundreds of beautiful floating markets slowly wind their way down branches of Mekong River, sustaining villagers through the trade of tropical fruits. 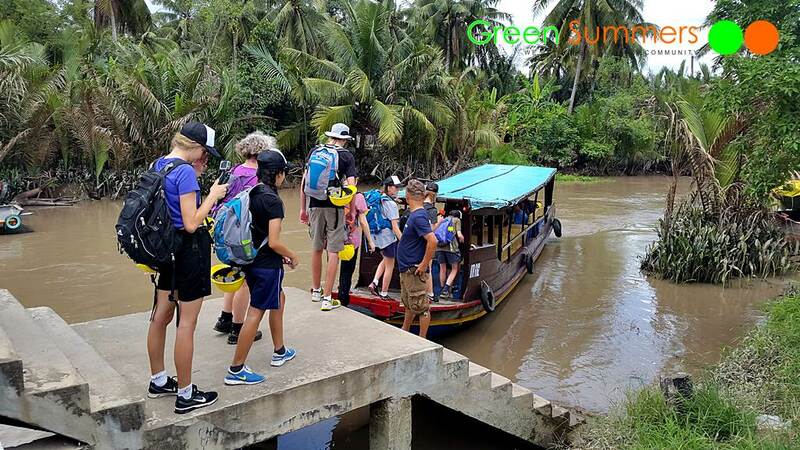 Our community service project in Vinh Long takes place within the tropical fruit gardens, and is punctuated by easy logistics, gorgeous delta views, interesting cultural experiences, delicious tropical fruits, and long boat trips following alongside the floating markets. 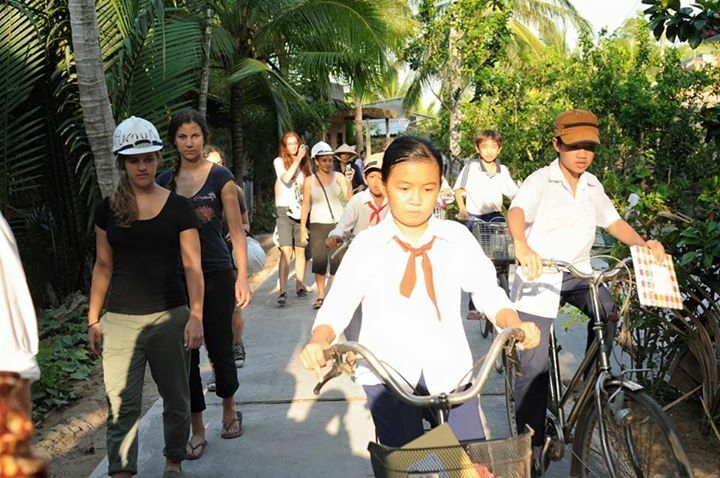 If you think a community service in Vinh Long is right for you, let us know. Tra Vinh is another poor village in the Mekong Delta, and is home to the Khmer people in Vietnam. Tra Vinh is also the land of Theravada Buddhism, and the countryside is filled with beautiful many pagodas of stunning architecture. The religious sects that live in the part of our country are different than others, but all live in harmony. 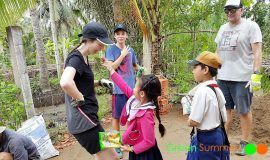 If you think of community service in Tra Vinh is right for you, let us know. Different from places along the river of Mekong, Don Duong is another village along the Mekong River, very near dalat city which is 1500m above sea level, making the weather cool and comfortable all year round. Don Duong is famous for being the home of the K’ho minority people, and exploring their unique culture is a real highlight of our trip here. Don Duong is also famous for huge plantations of vegetables, flowers, tea and coffee that grow here. The area is also known for its large pine trees, hand-woven fabrics, and the special wine made from jungle leaves. Our time in this area will be enhanced by experiencing the unique dance and music by the Gong people, acknowledged as a World Heritage treasure by UNESCO because the music has been passed down orally through thousands of generations. 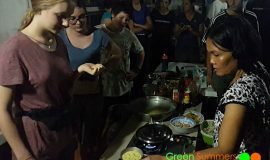 If you think a community service in Don Duong is right for you, let us know. Sia is a peaceful and beautiful town surround by a large lagoon and situated 15 km from Hue, the place of an important citadel from the last dynasty in Vietnam. This picturesque area is perfect for anyone interested in photography, and its splendor has been captured many times by visitors. The people of Sia give daily thanks to lagoon fishing and rice farming for sustaining them. The sandy land cannot support crops, so no real plant harvest exists, unlike other parts of our country where the land is very fertile. In addition, it often rains over 3000 ml a year in this part of the country, making it more difficult for business, travel and farming. These hardships make life is Sia challenging, and as a result the area is among the poorest in all of Vietnam. 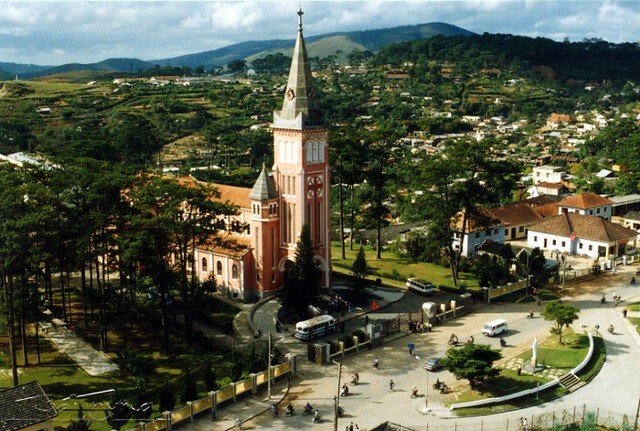 Sia is one of the villages of the South nearest to the river that separated two parts of Vietnam before 1975. The village suffered greatly during the war, and there are many sad stories told by veterans about the war’s impact on the village. The community service project in Sia will include a visit to the King’s citadel, boat trip on the river, visits to king’s mausoleum (the gates to a new heaven for the Kings), traditional music and royal dinners that were once only for the King’s families. If you think a community service in Sia is right for you, let us know. Khe Sanh is famous worldwide for being the site of the fiercest battle during the Vietnam War, where tens of thousands of soldiers died. It was the biggest hotspot of the Demilitarized Zone, which marked the border separating the Communist North from the US backed South from 1954 until the end of the Vietnam War in 1975. A community service project here is a unique experience. There is little to see except endless desserts where rice can’t grow, the martyr cemetery (the home to thousands of unnamed soldier’s graves), and countless adults and children wounded by land mines. The poverty is almost unimaginable. 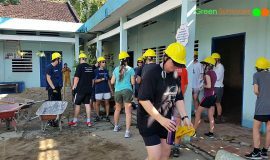 However, this stark area is a wonderful backdrop for students to experience what life is like for people less fortunate. Villagers here open their arms and hearts to us, as we are helping them make their dreams come true. This community service opportunity is very powerful emotionally.